Is Lash Tinting and Eyebrow Dyeing Illegal? 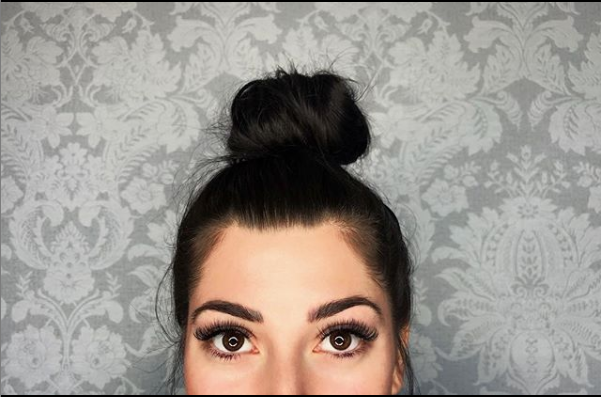 With lash extension trends like colored lash extensions infiltrating salons and becoming popular with their clients, you might have also heard about lash tinting, which is the dying of eyelashes for a long-lasting colored effect. There's also eyebrow tinting, which is the application of skin-safe dye for a tinted look. The effects of each service can last four to six weeks. 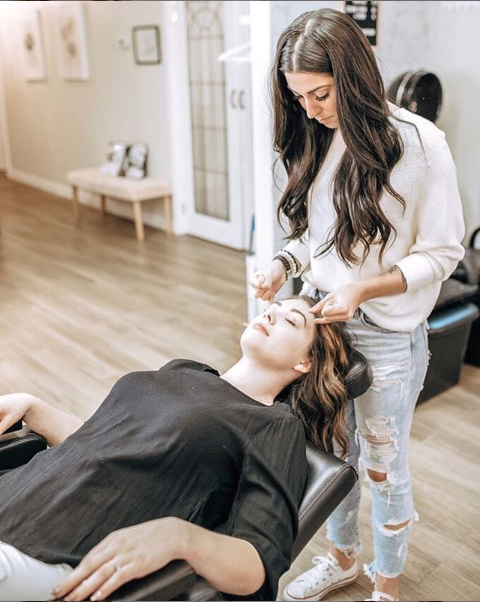 Even though these services have experienced heightened popularity over the past few years, the regulations around lash and brow tinting vary, depending on the state. While the Food and Drug Administration (FDA) has not approved any color additives “for permanent dyeing or tinting of eyelashes and eyebrows,” these services remain in-demand at salons around the country — even though they could actually be illegal where you live. If you're a certified lash artist who owns or manages a lash business, you may be wondering if you should add tinting to your list of services, since they could bring you more revenue and clients, as well as help you grow your salon. Here's what you should know. Lash tinting can be particularly effective for ladies with blonde or light lashes, who require mascara just to get definition. And for ladies who experience graying of the lashes (yes, it happens), lash tinting is comparable to a quick root touch-up on head hair. A great lash tint can nix the need to apply layers of mascara, which means lashes are darker but clump-free. Even lower lashes can get tinted, adding a dramatic eye-framing look without product application. Brow and lash tinting procedures each take only about 10 to 15 minutes for one application. For some ladies, the time savings alone is worth the treatment. While some people may adhere to the mantra that “beauty is pain,” as a salon owner or manager, you really don't want to put your clients through the ringer to achieve a gorgeous look. In the case of eyelash tinting, it's vital to take extra care when doing work to oh-so-sensitive eyes. One of the reasons why the FDA has been slow to put a stamp of approval on facial tinting products is that the agency doesn't approve products unless they're proven to be safe. Henna dyes are natural options, but they are not approved by the FDA because they haven't been proven to be safe ... yet. Plus, even if the FDA approved the dyes, it would still be possible to get infections and allergic reactions due to improper application. That's why lash artists and salon experts warn to never attempt to dye brows or lashes at home and to always get a professional to do the application. A reputable salon will inform clients about what ingredients are used in the tinting and then do a patch test to make sure there is no allergic reaction before applying. Should You Offer Lash Tinting and Eyebrow Dyeing at Your Salon? Given the convenience and efficiency of lash tinting and eyebrow dyeing, these services could be ones your clients are interested in and that can bring more revenue into your salon. Even though the FDA hasn't approved any brow- or lash-tinting color additives at this time, your salon may still be able to perform these services despite FDA lack of approval. Legality of the services is something that falls under the jurisdiction of state and local cosmetology and aesthetics boards. Check your local board of cosmetology for the most-up-to-date laws in your state. For example, in California, products that are not approved by the FDA are banned by law from being used, so salons in California can't perform the procedures. In New York, semi-permanent dye is legal, but permanent dye isn't. Massachusetts banned salons from using dyes for lash and brown tinting in January 2001, but the ban was lifted in 2016. Now the services are legal when dyes that are created for the exclusive purpose of tinting lashes and brows are used. When you're selecting tint products, avoid coal tar, which is an ingredient that is prohibited by the FDA. Food-coloring dyes and cosmetic colorants are ingredients that can cause eye infections and irritation, as well. Tinting experts say vegetable-based or vegan tinting dyes are gentler and are considered safe when applied by a professional. Have you found success with eyebrow dyeing and/or lash tinting at your salon? Let us know what you think, and join the discussion on our Facebook page.